He was accused of heresy by the Monks at Hexham for providing an alternative system2 but never put on formal trial. The abbreviation Hebr. referred to the time references found in the Hebrew Bible. The Sept. is short for the times found in the Greek Septuagint. The birth of the Chr. and the incarnation of our Lord time systems. In both works, he divided the book into six ages — a system originally set-up by Isidore of Seville.4 The sixth age being the last of world history because of the advent of Christ. Therefore, it was considered common sense to reset the numbers to 1 at the incarnation of Christ. It was the beginning count to the end of the world. “Before the incarnation of our Lord” reads here in the Latin as, “ante uero incarnationis dominicae”8 and when Bede wanted to express time after the incarnation of Christ he wrote, “annus ab incarnatione Domini…”9 The expression used to measure time before Christ is obviously his own invention that did not survive to later usage. This was not the same as what Dionysius set, “Anni Domini nostri Jesu Christi” or shortened today to A.D., which is unusual for Bede, who often builds on what others have already established. One must be cognisant of the fact incarnation does not necessarily mean birth here, but can alternatively mean conception. The birth/conception date brings another set of arguments that will not be discussed in this article as it will bring on more confusion to an already confusing topic. The underlying assumptions in this article are based on the birth date. Bede’s texts as it relates to the exact date of Christ’s birth, and the problems related to this is the central focus here. In order to arrive at such an understanding, some translation snippets were done personally by me from the Latin works De Temporibus Liber and De Temporum Ratione. These texts are going to be looked at in-depth. His work also provides timelines for other important Christian events which interweave with the incarnation of Christ. Citations and analysis from De Temporibus Liber and De Temporum Ratione on pertinent historical dates. The following are translations from the Latin on the important dates that Bede has calculated along with a supplied conversion of his dates into our present A.D. form. Bede wrote the chronologies in a shorthand type fashion, very brief, only a few words, assuming the reader can infer from the text the meaning. This is reflected in the translation. The sixth epoch compromises 708 years having passed by. Octavius 56 years. Consequently, in the 42nd year Christ was born, having completed from A.D.am 3,952 years. Now there is another date of 5199. Tiberius 23 years. In this reign Christ is crucified in the 18th year. Caius 4 years. Matthew writes the Gospel. Claudius 13 years. Peter goes to Rome, Mark travels to Alexandria. Nero 14 years. Peter and Paul are being handed over to death by crucifix and sword. Vespasian 10 years. In the second year of his reign Jerusalem is being destroyed. Titus two years. At this time eloquence and goodness is established. Domitian reigned 16 years. John is sent away to Patmos. Nerva one year. The Apostle John returns to Ephesus, writes the Gospel. Trajan 19 years. Simon the Bishop of Jerusalem is crucified and John dies in Ephesus. Hadrian 21 years. A translation is being produced by Aquila. The Gospel of Matthew is written between 35 – 39 A.D.
Peter goes to Rome, Mark goes to Alexandria between 40 and 53 A.D. The Apostle John is exiled to Patmos somewhere between 76 – 92 A.D. The Gospel according to John is written between 95 or 96 A.D.
Simon the Bishop is crucified and the Apostle John dies somewhere between 96 – 117 A.D. The translation of the Old Testament into Greek, called the Septuagint, somewhere between 117-136 A.D.
Bede wrote this entry 708 years after the birth of Christ. This is not a critical analysis on whether Bede’s numbers are historically accurate. It is simply listing what he believed they were. [A.M. 3952, Chr. 1.] In the 42nd year of Caesar Augustus, indeed in the 27th year from the death of Cleopatra and Anthony and also when Egypt was changed into a province. The 194th Olympiad in the third year, the 752nd year from the founding of Rome, that is, in the year related to him, in which disturbances had been silenced throughout the nations of the earth, Caesar of God,11]12 composed in a government a most stable and genuine peace, Jesus Christ the Son of God13 dedicated the sixth age of the world with His arrival. In the 47th year of the Emperor14 Augustus, Herod in the sickness of latercutis aquae,15 and with maggots having sprung forth on the whole body, wretchedly and suitably dies. For the one who became the heir by Augustus, another one [of Herod’s] sons, Archaelus, reigned 9 years, that is, until the end of Augustus himself. No such references beyond that, which accusers at the time are laying charges before the Emperor of his excessive force to the Jews, he is banished to Gaul in the city of Vienna, and for the purpose of reducing the power of the Judaic leadership position, the haughtiness and the urge to conquer, tetrarchies were created for four of his brothers instead of him; Herodes, Antipater, Lysias and Philip, of whom Philip and Herodes, who Antipas was prior named, had been commissioned of the tetrarchy of Archaelus while he is still alive. [A.M. 3989. Chr. 38] Tiberius, the stepson of Augustus, this is, the son of his wife Livia, begotten from a former husband, he reigned 23 years. In the 12th year of this Pilate is being set to be procurator of Judea for the same [area of Archaelus]. Herod the Tetrarch, keeps the leadership of the Jews for 24 years, builds in honor of Tiberius and his mother, Livia, Tiberias and Libias. [A.M. 3981. Chr. 30.] In the 15th year of Tiberius, the Lord, after the baptism which John preached, announces the kingdom of heaven to the world, that has been completed from the beginning of the world according to the Hebrew years, which Eusebius in his Chronicles designates four thousand [years], it is be noted that in 16th year of Tiberius was the beginning of the 71st Jubilee according to the Hebrews. Why then is our reckoning to be assessed 19 years less applied years? Simply one was to have read the preceding [parts] of this book, they would arrive upon the conclusion. Truly on par with the same Chronicon which Eusebius himself of either edition, he composed as it appeared to him, there are 522816 years. [A.M. 3984. Chr. 33] In the 18th year of Emperor Tiberius, the Lord redeemed the world by His suffering, and the Apostles, whose message was bound to be proclaimed throughout the regions of Judea, chose James, the brother of the Lord, as bishop of Jerusalem. They also ordain seven deacons, and, Stephen who had been stoned, the Church is being scattered throughout the regions of Judea and Samaria. Agrippa, who is surnamed Herodes, son of Aristobulis, son of Herod the King, [makes a] legal argument against Herod the Tetrarch, a Roman prefect, was thrown into chains by Tiberius, where in that place many opened to him fellowship, and especially the son Gaius of Germanicus. Gaius by the surname Caligula, reigned three years, 10 months and eight days. Here he makes Herod Agrippa his friend by whom had been released from prison, King of Judaea, and remains as king for 7 years, that is, until the fourth year of Claudius. For having been struck by an angel, his son Agrippa [AgrippaII]17 succeeds as the ruler and he continues for 26 years until the destruction of the Jews. Herod the Tetrarch comes to Rome at the urging by Herodias for the purpose of courting the friendship of Gaius, but for the accusation by Agrippa, lost the Tetrarchy, goes into exile and dies with sorrow in Spain with Herodias. Pilate who pronounced the judgement of damnation on Christ, for so much excess, by which Gaius calls for penalties, having been closed up in anguish, that he killed himself by his own hand. Gaius, the one who brings in his own gods, profanes the holy place of the Jews with unclean images of pagan gods. Matthew wrote the Gospel, publishing it in Judaea. 1 Chr. Christ was born in the 42nd year of the reign of Augustus, which would make it 2 B.C. The 27th year after the death of Cleopatra is another clue. Bede stated that Cleopatra lived 15 years after Augustus began his rule in 44 B.C. That would make her death in 29 B.C. This would once again make the birth date at 2 B.C. He stated that it was the 194th Olympiad in the third year. This takes it to 2/1 B.C. He counted 752 years AUC (from the founding of Rome) which makes it 2 B.C. Caligula reigned for almost four years after Tiberius. 36 – 40 A.D.
Herod Agrippa reigned in Judaea for seven years. 37 – 44 A.D.
Herod Agrippa II reigned in Judaea for 26 years. 44 – 70 A.D. The destruction of Jerusalem. 70 A.D. It could be argued that Bede’s calculations amount to 1 B.C. rather than 2 B.C. The calculations that Bede used have a two year variance and can be set either way. However, the information tends to lead towards 2 more than 1 B.C. The alternative for 1 B.C. is found in Bede’s “Ecclesiastical History of the English Nation”, where he wrote that Caesar arrived in Britain in 693 AUC, sixty years before Christ’s incarnation. This makes the birth of Christ to be 753 AUC (1 B.C.). However this goes against the majority of his other works. It changes Julius Caesar’s end reign to 45 B.C., which normally is 44 B.C., and Christ’s crucifixion to 32 A.D., which would conflict with Dionysius’ date of 31 A.D. This passage does set-up a contradiction on Bede’s part, but there is only one evidence for 753 AUC while there are multiple evidences for 752 AUC. On the life of the Herods, which has always been integral for dating the birth of Christ, Bede takes a late approach. He calculated Herod the Great’s reign to have begun in the 11th year of Augustus’ reign and it lasted for 36 years. This would make Herod the Great’s reign from 33 B.C. to our present 3 A.D. So it can be reasonably assumed, with some debate, that Bede thought our 2 B.C. to be the real 1 A.D.
Bede on reconciling the Dionysius Easter tables and how the miscalculation Christ’s age at the crucifixion is the source of the dating controversy. There is still yet a problem in Bede’s own mind and his contemporaries. Dionysius Exiguus’ Easter Tables was the defacto standard in dating. Bede argued that there was no problem. His calculations agreed with those of Dionysius Exiguus’. Bede believed the birth year was a later miscalculation by the Church. The official Church calendar reckoned that Christ lived only 30 years on earth, and deducted this from A.D. 29. This became the official 1 A.D. which we still use today. It is A.D. 1 because the ancient timetables were based on a math system that did not contain the number zero. This contradicted Dionysius calculation of 33 years from the passion which Bede strongly agreed with; our present 2 B.C., was to be the right place to start 1 A.D. It is imperative to be understood here that since Bede moved 1 A.D. two years earlier than our modern records, and that he believed Christ lived 33 years on this earth, our 1 A.D. is supposed to start at 2 B.C. according to him, and 29 A.D., the date of the passion, is correctly to be named 31 A.D. When the Church recalculated this reckoning from 30 years is not known. It was officially sanctioned between 550 and 650 A.D.; dates after Dionysius’ reckoning and before Bede’s time. The traditional date for the Passion in the Roman church was 25 March in the consulship of the two Gemini in A.D. 29. I know of no evidence that between the time of Prosper and that of Bede the Roman church had changed the traditional date of the Passion. In 1689, Antoine Pagi defended the traditional date in A.D. 29 against the efforts of Denis Petau and others to move the date into the 30s. In a book published as recently as 1952, Damiano Lazzarotto defended the traditional date in A.D. 29. Gustav Teres’ very well researched work, Time Computations and Dionysius Exiguus, discusses many approaches along with the problems and produces different results, though he does not refer to Bede at all. Perhaps Bede diverged from Dionysius from this point, but this is doubtful. Printed copy: Bede: The Reckoning of Time (Liverpool University Press). 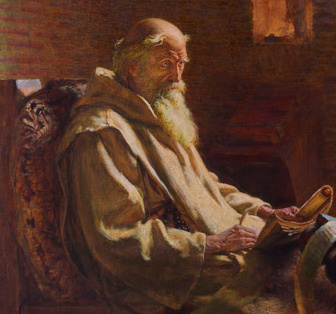 Free e-book: The historical works of Venerable Bede, Volume 2. This work was produced by J.A. Giles in 1845. It is not the most reliable translation. For Bede in the original Latin, go to the Monumenta website. The Easter Computus and the Origins of the Christian Era by Alden A. Mosshammer. Time Computations and Dionysius Exiguus by Gustav Teres. Michael Deckers English translation and mathematical analysis of Dionysius Exiguus’ Nineteen Year Cycle of Dionysius. A timeline on the lives of the Herods, see A Chronology of the Herods: More Details and A Chronology of the Herods. For more articles relating to the birth of Christ, see the series webpage: Christian Calendar System for more information. A formal definition of this has yet to be found though I suspect, but cannot confirm, it is lesions, diabetes related infection, boils or some other serious skin condition. Another theory could be skin cancer. However none of these are reliable enough. Therefore, it stays in the Latin. “VMCCXXVIII” This is not a standard numbering Latin system and there is no definitive place found to confirm exactly what this means. I am guessing that the “V” means ‘5’ and “M” means ‘thousandth’ in this context. J.A. Giles 1845 English translation agrees with “5228” but he was wrong with another number usage, so I hesitate to use this number, though don’t know of any alternative. I don’t recall Paul ever writing distinctly that the Lord lived 33 years in any contemporary copies of his writings. I don’t recall there any mention of the Jesus celebrating anything related to the Passover in the Apocalypse-nothing anything remote. What is Bede referring to here? REALLY GOOD It is all fascinating and so hard to follow. It begs the question. Does anybody really know what time it is?